Sand Point Golf Course is a breathtaking retreat overlooking the Ottawa River, situated in the heart of the Ottawa Valley. We are a public golf course. Whether you’ve played the course before during its prestigious 90 year history or are experiencing it for the first time, Sand Point is a great golf challenge. Recognized as one of the region’s top-conditioned courses, it’s a public golf course that offers value priced memberships for the avid golfer and affordable green fees including daily specials for the casual golfer. 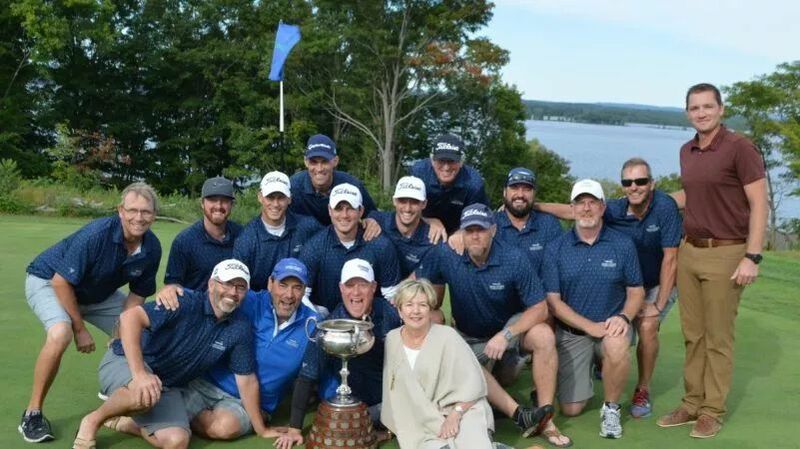 In addition to golf the Greenside Tavern, overlooking the 9th hole and the Ottawa River, is a dining destination offering traditional pub fare as well as high-end meal options and daily specials. Led by Chef Cari Reid, the staff is dedicated to providing you with a memorable dining experience in a warm and inviting environment. Serving golfers as well as non-golfers, the Greenside Tavern is sure to delight. You can also enjoy dining outdoors, with our full service water view patio. The Greenside Tavern can accommodate up to 80 guests and for larger events our Riverview Room is suitable for up to 180 guests. Whether you are planning a golf tournament, corporate event or a wedding – Sand Point Golf Course is your venue for an exceptional experience. Fill the form below to receive it by email.